The mission of Green Dog Spa is to provide dog & cat grooming services by a highly trained team of those dedicated to a safe, natural approach with a focus on continuing education. We also offer carding/handstripping per minute, please ask us for more details! Call our salon at 904-683-5301. We are the first salon in Jacksonville, FL to host a National Dog Groomer’s Association (NDGAA) Workshop and Certification event. 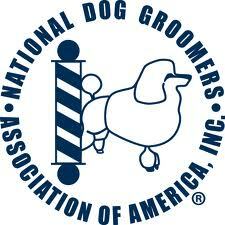 Our team at Green Dog Spa becomes certified & master level, elevating the grooming industry. Do you need someone to watch your precious pup for the day? Safety is our focus. 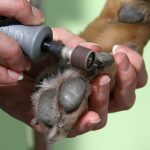 Want to keep your pet’s nails trimmed & filed? We can take care of this for you too! This package enhances the grooming experience by including a shampoo upgrade, nail file, & breath freshening. This spa package enhances your dog’s grooming experience by adding shampoo upgrade, nail file & breath freshening. We also include a relaxing “South Bark” blueberry facial. Our best & most special spa package. Your dog will feel truly pampered during the grooming experience with a shampoo upgrade, nail file, breath freshening, relaxing “South Bark”blueberry facial, pawpad treatment, & a mud bath or shed treatment. We have a full staff of people who love pets! Learn more about us on our team page!